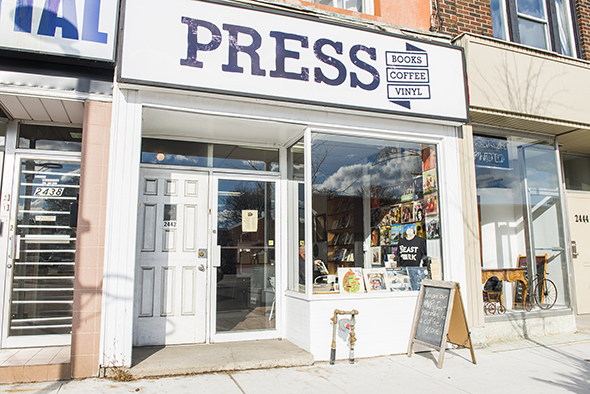 Press Books, Coffee and Vinyl is a library, cafe and record store on the East Danforth. 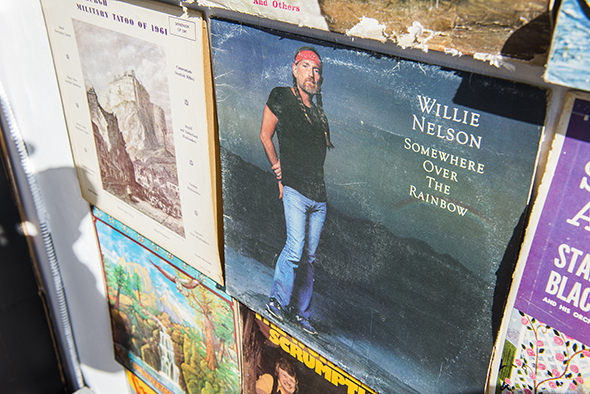 Offering an eclectic selection of second-hand records, nostalgic VHS, DVDs and used books, it's an encouraging upgrade from the former Books & Records. 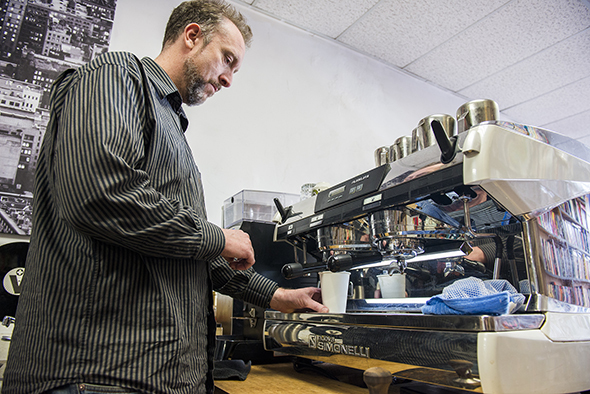 This time around, first-time business co-owners Damon Scheffer and Sue Dachs are keen to reinvent the claustrophobic and sometimes constraining space of the store. 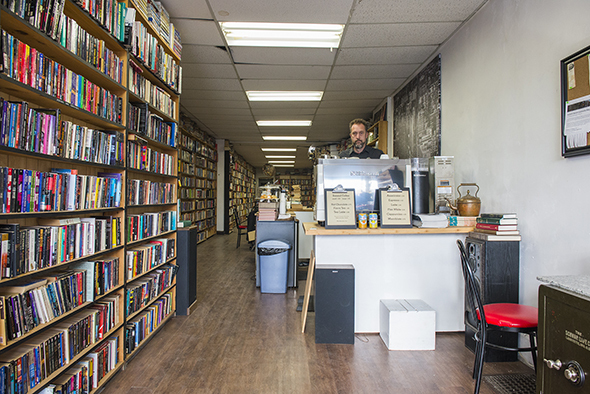 Since taking over Books & Records, Press has become a local dwelling for Greektown errand runners wired on coffee refills. 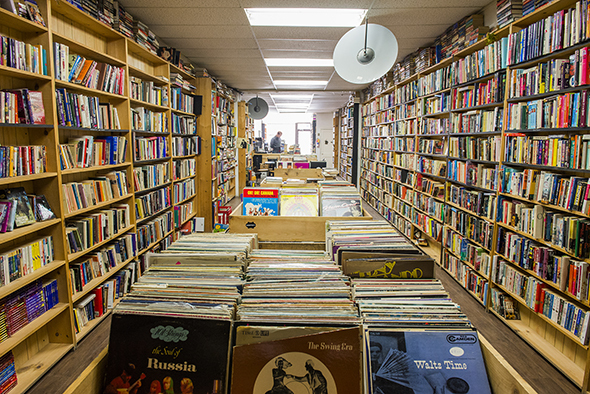 Fit for an afternoon of aimless strolling, it's easy to get lost in the company of old world heirlooms, used books and hit-or-miss records. Rest assured, the store has risen from the junk of its past with a new selection of young adult fiction and classic rock vinyl. While browsing, explorers can treat themselves to cappuccinos, flat whites, espresso & more with java supplied from Reunion Island . An antique silver plate with scones teases an appetite at a glance, freshly made from Front Door Bakery . In a slapdash of $5 records, Quincy Jones, George Benson, Diana Ross and Funky Kings collects dust in a center island of jazz, R&B, soul and dance. 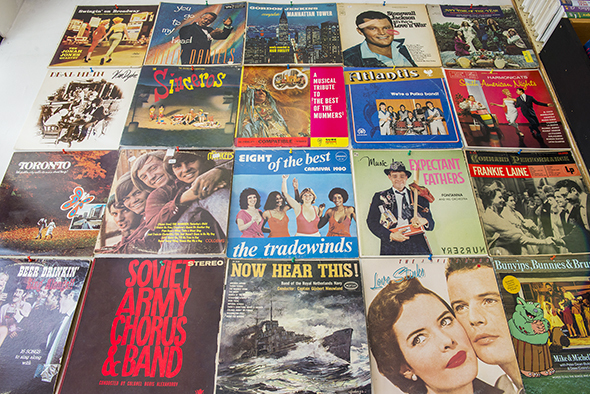 Beside a colossal collection of romance novellas, country fans can reminisce over forgotten vinyl gems like Ray Price and the Ramsey Lewis Trio. A 12" vinyl of Thievery Corporation's Culture of Fear displays proudly for $18 near the entrance. There's something here for everyone; you just have to dig a little to find it. With an impressive compilation of forgotten and newish media, Press brings an old world charm that's peculiar as it is intriguing.